So much has been happening lately that it’s hard to keep up with my blog! This past weekend I went to Brussels with the American Business School Paris, which is where I’m studying while abroad. My whole ISA (company for my study abroad) group went, along with some of our other classmates — including American, French and other international students. 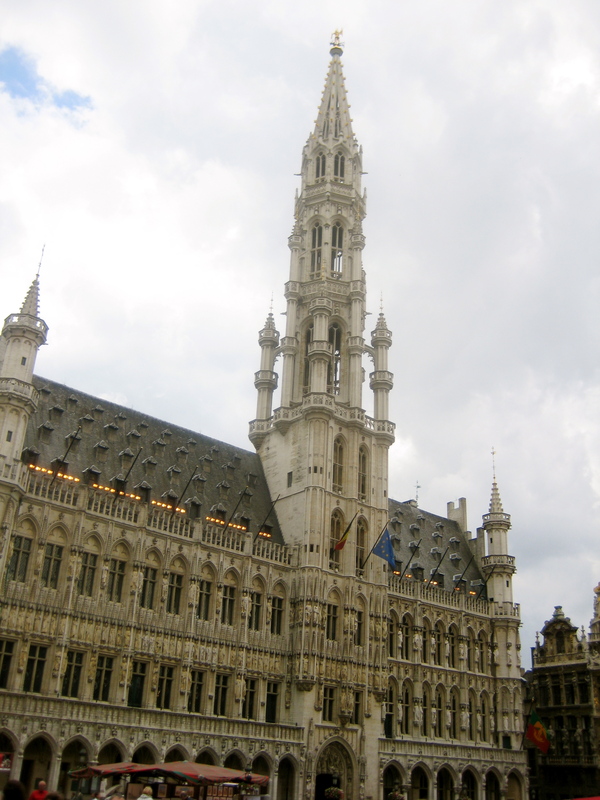 I had never been to Belgium at all, so I was excited to go…and it did not disappoint. One of the first things I noticed was the use of Flemish. Although I am not fluent in French, I have taken enough years of classes to at least recognize words and understand some things I overhear. But I had never even heard Flemish being spoken before, and it was a bizarre experience. Luckily, most signs and notices on the train, etc., are translated into Flemish and French (and often English, as well), so I wasn’t too disoriented. After we got there one of the guys in my group, whose mother is from Belgium, took us around to some of the hot spots near our hotel, which included some of the most delicious fries I have ever had. This was understandable, as French fries actually originated in Belgium, but I was happy nonetheless! 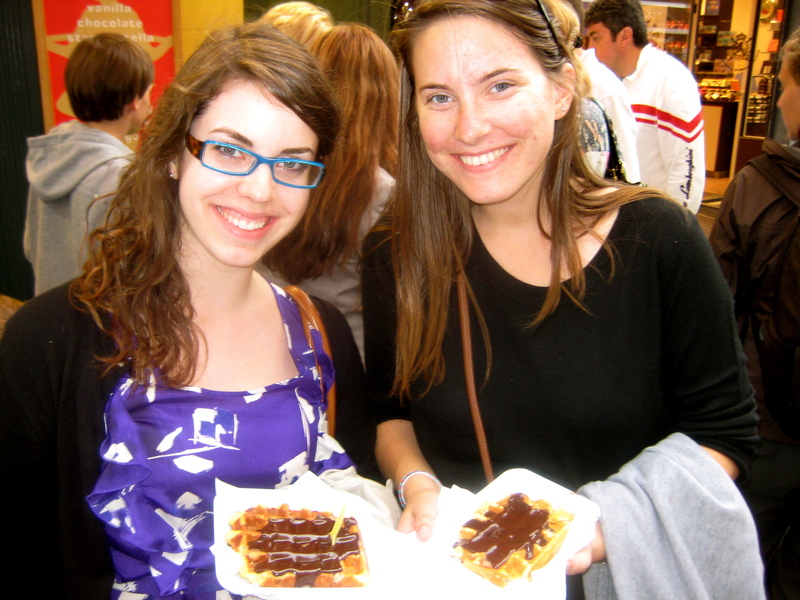 We also ate Belgian waffles. I ate two over the course of our trip: A sweet, more crisp waffle with Belgian chocolate, which was rich but divine, and the other a softer, more authentic waffle with powdered sugar and strawberries on top. My mouth is watering right now just thinking about them, as waffles are one of my favorite types of food. Another cool experience besides just seeing the city itself was going to the European Union, where a speaker gave us a brief history on the EU — inside the actual building. It was a surreal experience, and is something I’m glad we got to do. Since then, I’ve been out and about in Paris every day, which makes for great pictures and memories and very sore feet and legs. Paris had a heat wave Sunday, Monday and Tuesday, with temperatures reaching almost 100 degrees. That plus humidity and minus air conditioning makes for a sweaty mess of people. I now understand why the French are stereotyped as smelling bad. Despite the many places, people and things I will miss about Paris when I get home, I will be extremely happy to have air conditioning, ice in my water and ceiling fans once again. This weekend I’m going with most of my ISA group to Milan, and I cannot wait to eat wonderful Italian food, see the sights and experience a new culture. À bientôt!